I feel I have to be brutally honest here: Although I do own and enjoy a fair amount of black metal records, as a genre much of it sounds pretentious and lacking in impact to me. What everyone else hears as extreme, bears a striking resemblance in ethic to the pop industry in my mind. Everyone has to dress this way, everyone has to play this riff and this riff only, displaying any genuine talent is a cardinal sin and originality is to be spat on. Just like any other style, there are gems, but in BM there is an abundance of bumph. Asked to name a great BM album, I’d invariably suggest something like Emperor’s Prometheus: The Discipline of Fire & Demise, Satyricon’s Age Of Nero or Evangelion by Behemoth. Purists may say these aren’t really BM albums, slating them as the turning point in selling out for these artists. I simply think they demonstrate bands reaching a stage at which they really came to grips with their identity in extreme music. 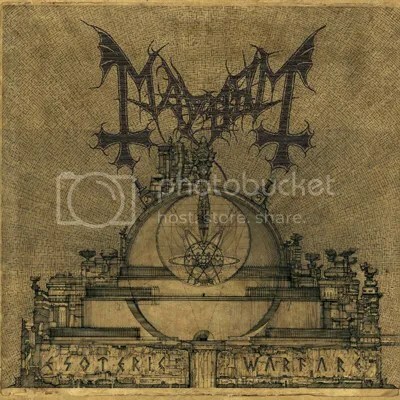 Esoteric Warfare, the fifth studio album from genre progenitors Mayhem seems unlikely to come under that heading. It opens up with the full bore, traditional intensity associated with the genre, single note guitar thrashing and constant blast beating aplenty. Thankfully, at least from my perspective, that isn’t all there is to it. By breaking up the flow of discordant white noise with intricate arpeggios and poignant moments of brief silence, a more percussive, heavier sound is achieved. While this is undeniably Mayhem, it is tighter and more refined than any of their past efforts. The sound quality is unbelievably good to boot, offering the vocal experimentation an extremely pleasant amount of breathing space. If you’re familiar with the Japanese cinematic horror classic The Grudge, you might recognise the noise at the start of Milab, for example. This is by far my favourite track (with penultimate number Posthuman running a close second). The lyrics themselves are an improvement on what has been minimalistic up to this point, delving deeper into the album’s running themes of scientific terror and invasive evil entities. In truth, it is well worth wading through the first (almost) half of the album to get to what is essentially the second movement, as it is more creative, more diverse, and consequently far more brutal. I hope this is intentional. A band who celebrates their 30th anniversary this year must surely have learned a thing or two about picking a running order. The concept has me considering giving the whole thing a second run from the beginning, to see if it has changed my perspective. And it has. The first few tracks seem more alive with anticipation of what is to come further along the line. A natural and significant progression from Ordo Ad Chao, this is still a solid three-out-of-five for me – definitively middle of the scale (you might want to add a point if BM is your thing – I’ll meet you half way). I’m not going to be upset in the slightest if I listen to it in its entirety multiple times, but neither would I shed a tear if it was wiped from the face of the Earth. It could well be a grower, but I doubt it will make my top twenty. If trve/kvlt blck metal is what you’re after, this should hit you right between the eyes, but be warned – the production’s really, really good. 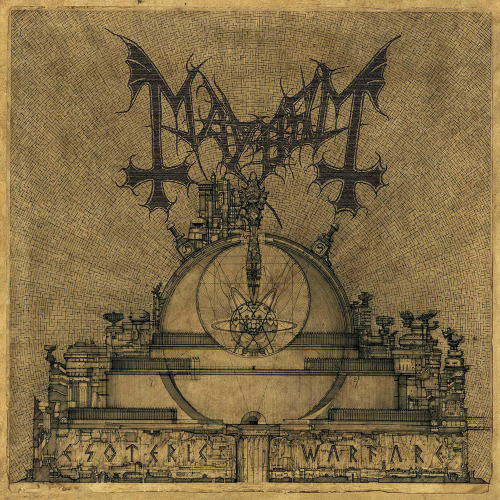 Seven long years have passed since the legendary Norwegian black metal kings Mayhem released their fourth and latest album Ordo ad Chao. In the year of the band’s 30th anniversary, the single most notorious and important band in the history of black metal returns with ten venomous and vicious tracks in the form of their new album Esoteric Warfare that are true to the Norwegians’ immense legacy as kings of the underground. Esoteric Warfare will be released via Season of Mist on 23rd May this year. The album will be available in many different formats including a limited edition vinyl collector’s box through the Season of Mist e-shop. The tracklist and album artwork can be seen down below. ‘8 ½ – Feberdrömmar i vaket tillstånd’ is the new album from the Swedish suicidal black metal band Shining fronted by Niklas Kvarforth. It is the follow up to last year’s ‘Redefining Darkness’. This particular album features re-recorded versions of old tracks by the band featuring guest vocals from Attila Csihar (Mayhem), Gaahl (ex-Gorgoroth, God Seed, Wardruna), Maniac (ex-Mayhem, Skitliv) amongst others. First up is Terres Des Anonymes, a lengthy and extremely grim sounding piece of raw black metal. There’s no mistaking that signature Shining sound; it’s eerie, nihilistic and depressing which is precisely what you’d expect to hear. The vocals resemble howling whilst the guitars have a coarse sound to them and music has that droning feel to it. That pretty much sets the tone for the rest of the album as the subsequent tracks only add to the grimness. Szabadulj Meg Önmagatól continues along the same path, though the keyboard parts at the start gives a certain melodic undertone which sets it apart from its predecessor. Yet do not be fooled into thinking that the keyboards make the track any less grim-sounding. Oh no, guest singer Attila’s haunting vocals ensure that eeriness and that bleak feeling of impending doom remain an integral part of the song. Another noteworthy track is Selvdestruktivitetens Emissarie which features a surprisingly melodic guitar and keyboard instrumental part complemented by whispers in the early stages of the song. The piano-like, melodic Through Corridors of Oppression features elements of Chopin’s famous sonata. Overall this is a fine example of raw black metal. In terms of the rating, I would class this album in the same way that I regard other raw black metal bands such as Burzum and Xasthur. Would I listen to it all the time? Hell no, it would drive me insane. Is it intriguing enough to warrant another listen? Yes, very occasionally, in small doses and only when I’m in the right frame of mind. Tristania have been an essential part of Norway’s metal since their formation in 1995. Following a number of line-up changes over the years, Tristania have reinvented themselves but kept true to their roots. With six albums already released, Darkest White is the band’s seventh studio release. Number begins the album with its black metal inspired riffs, running in the same vein as bands like Mayhem or a less melodic Immortal. The harsh vocals of Anders help cement the black metal sound but it’s the vocal work of Mariangela that brings the more harmonious elements to the song, whilst the subtle uses of keyboards injects the gothic elements. The title track, Darkest White, differs vastly from the opening song; featuring more use of male vocals and a constant flow of keyboard passages while the guitars belt out alternative sounding riffs. Other tracks on the album seem to changes from a keyboard-laden sound to a guitar-driven one, displaying the emotional vocal workings of frontwoman, Mariangela. A lot of the songs on the album, overall, aren’t as powerful or emotive as they could be, leaving a lot to be desired, especially for new listeners to the band. Lavender is quite a relaxing track, the kind you can just chill out to with beer in hand and the use of vocals throughout the song just make it evermore soothing. Arteries brings the album to a vicious end, in similar fashion to the way the album began only taking the song on the more destructive path of death metal influenced sounds followed by some adept conjuring of bloodthirsty vocals and melodic clean singing. 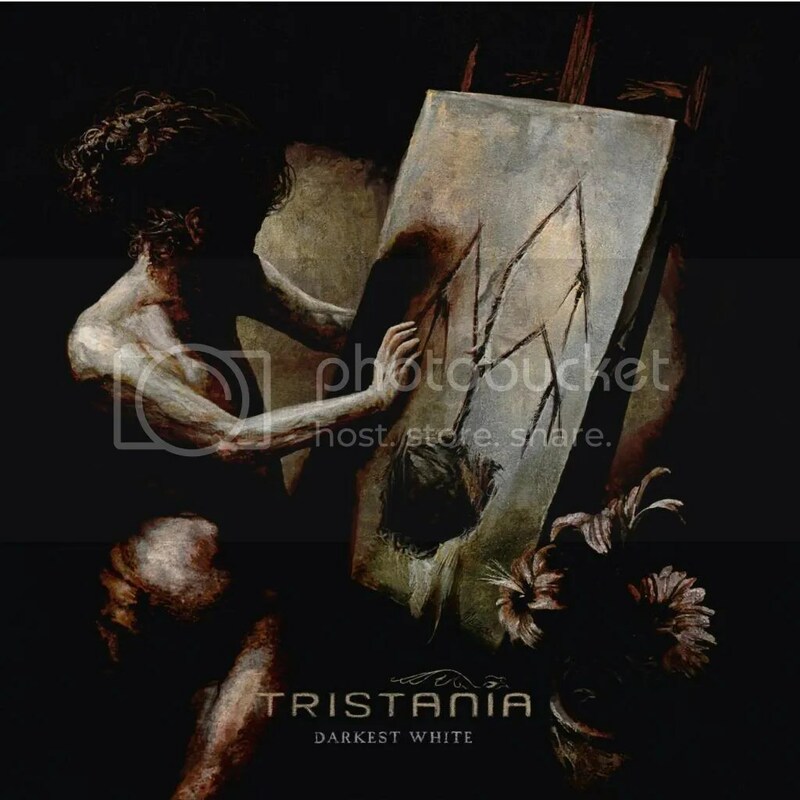 Darkest White shows a vast evolution in Tristania’s sound, though it sounds to be an album that the listener won’t grasp straight away. The constant change of sounds and musical elements throughout the length of the album took away the emotional levels usually found in Tristania’s music. The Eerie Constellation is the third album from the Austrian atmospheric black metal band Valfeanor. It is the follow up to their 2009 album ‘Noreia’. 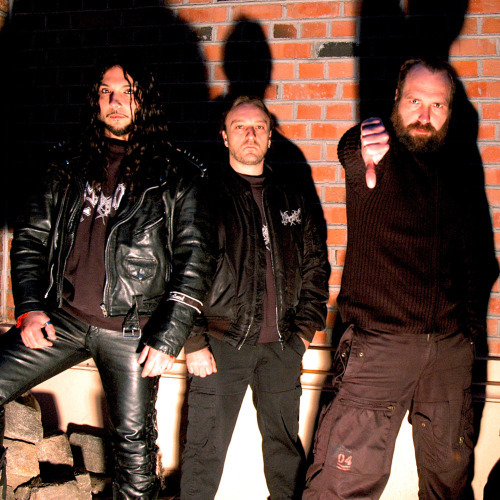 The band was formed back in 2002 under the name Mortar which was then changed to Valfeanor in 2005. After the soothing keyboard intro Interlude we get to the first real track on here; Lethe Jenseits which offers a delicate balance of harsh black metal vocals, melodic guitar riffs and steady drumming intertwined with the aforementioned atmospheric keyboards. It’s non-identical twin Lethe Diesseits is the longer, more complex of the two and sees emphasis shift towards the guitars and the vocals take a turn towards the old Mayhem-style howling. Interestingly enough, the melodic keyboards do make a comeback towards the latter half of the song which helps to retain that atmospheric feel. It’s a somewhat unusual mix of black metal sub-genres, the best way I can describe Valfeanor’s sound is somewhere between old Mayhem and mid-career Emperor with hints of Enochian Crescent. As the raw black metal vocals pierce their way through each song, they are counterbalanced by melodic guitars and the atmospheric keyboards. The title track is a good example of this, the agonizing howling is ever present and even with the more refined instruments such as the guitars it still leaves a bitter taste in your mouth. Another noteworthy track is Ephemeral, which features a short, melodic, semi-acoustic guitar part in the first half of the song. Overall, The Eerie Constellation is true to its namesake. It has its strengths, notably the atmosphere created by the guitars and keyboards but there’s something about the vocals that makes you feel unsettled, which is sadly the main drawback of this album. 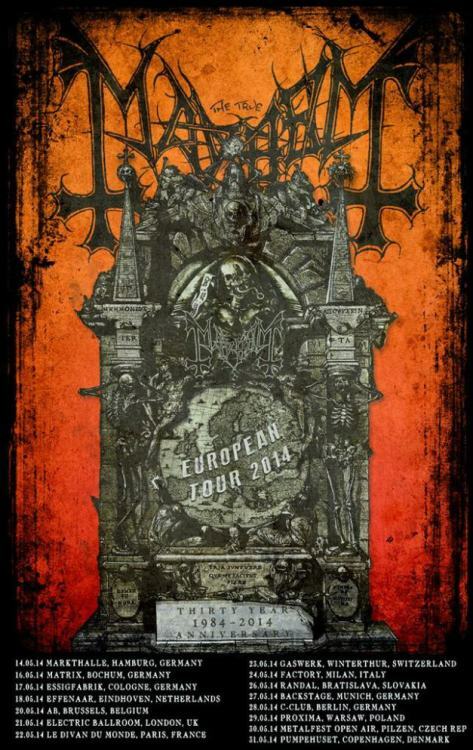 When it comes to black metal, raw and atmospheric is a rarely a good combination.